Danielle Ferland with Maisie Moore of Marblehead (left) and Caroline Sprince of Lynnfield. My, what credentials you have! 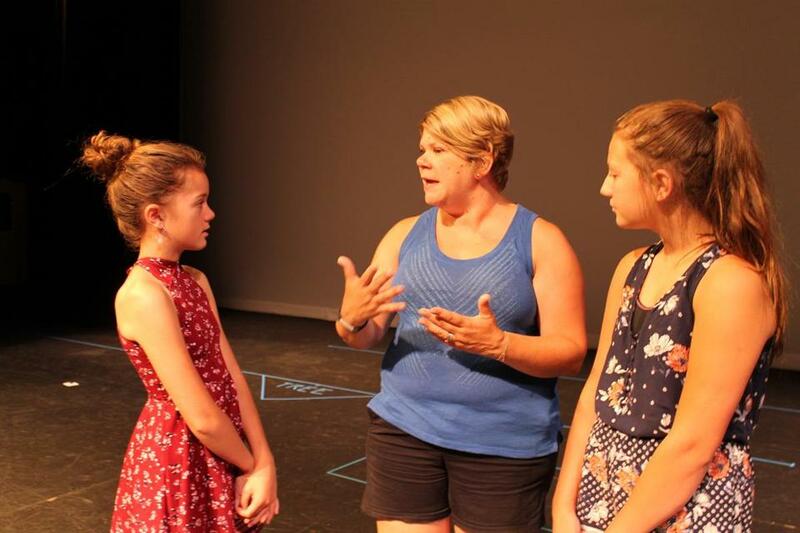 That’s what students at Boston Children’s Theatre said Thursday when actress Danielle Ferland stopped by BCT’s summer residence at Shore Country Day School in Beverly. Ferland played Little Red Riding Hood in the original Broadway production of Stephen Sondheim’s “Into the Woods,” so who better to talk to the kids as they prepare to put on “Into the Woods Jr.” Ferland, who’ll be back to direct a BCT production of “Cabaret,” shared some costume secrets with the kids. “Into the Woods Jr.” runs July 21-24 and features 51 students from more than 30 cities and towns.